As soon as children walk through the door into school, they are in a reading-rich environment thanks to the plethora of classroom signs, posters, calendars and—especially—bulletin boards. Sighted children take in the information incidentally by seeing it, but what about blind children? 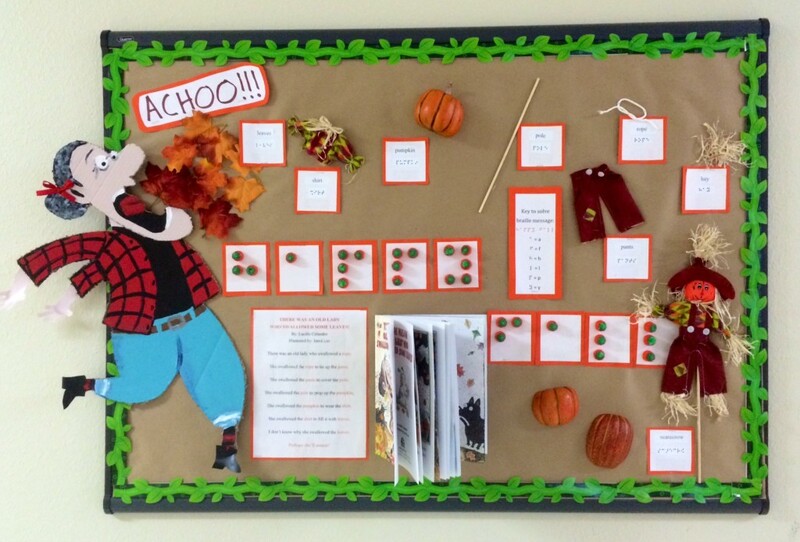 With a little modification and creativity, bulletin boards can be made accessible and interactive for regular print, large print and braille readers alike. 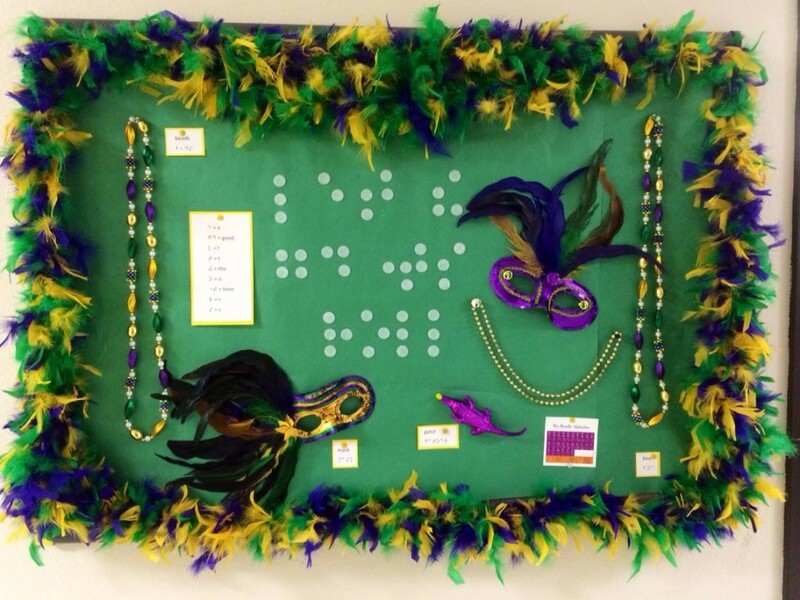 Accessible bulletin boards incorporate braille alongside print and tactile elements to make them appealing to both blind and sighted viewers. The bulletin boards can focus on any topic, including scenes from a book or seasonal holidays. Real objects, such as candy, jewelry, leaves or any object that fits the theme, can be used to encourage children to touch. Different textured materials (like sandpaper, foam cutouts, foil and cardboard) can be cut and folded into any shape to give otherwise-flat graphics a dimensional characteristic. Including print, braille and SimBraille allows blind children to read tactilely and sighted children to learn how the braille code works. Twin-Vision books, that is those with both braille and print, can be put on the bulletin board for children to read. Moveable pieces, braille messages that can be decoded, and pockets with braille alphabet cards or other information for children to take home make the boards truly interactive. This board is based on the book There Was an Old Lady Who Swallowed Some Leaves. The Twin Vision print and braille book is attached to the board along with items mentioned in the book, including leaves, a shirt, a pumpkin, a pole, pants, a rope, hay and a scarecrow. All items are labeled in print, braille and SimBraille. Laura Bostick, an instructor at the Institute on Blindness, helps design the accessible bulletin board outside the Institute’s office at Louisiana Tech University, and she includes a discussion about them in her classes for future teachers of blind students. Krystal Guillory, a teacher of blind students with Lincoln Parish (La.) public schools, also creates touchable bulletin boards featuring braille in the schools in which she teaches. Current master’s students at the Institute on Blindness and her elementary-aged braille students often help Krystal put the boards together. Bulletin boards for blind students are easy to make. 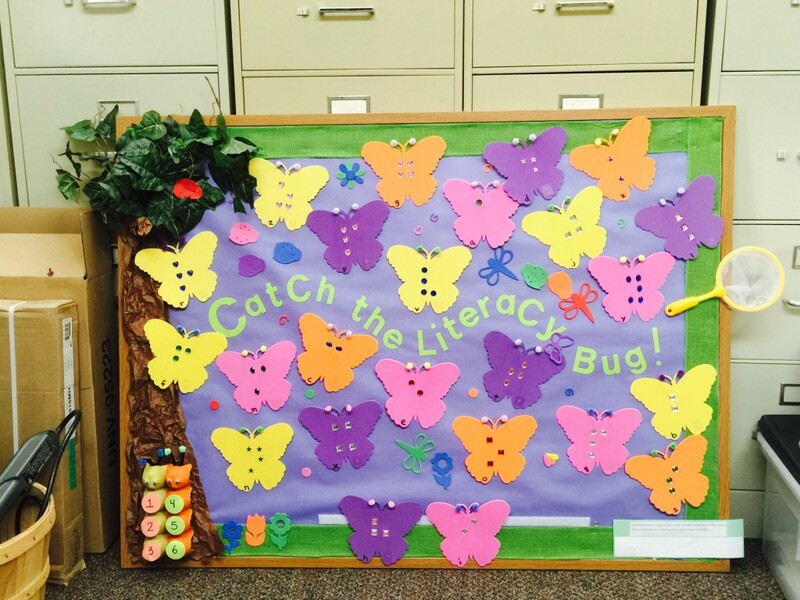 Laura and Krystal worked together to craft kits with everything needed to make the “Catch a Literacy Bug” bulletin board pictured above. The kits were sold at the 2015 National Federation of the Blind of Louisiana State Convention and will be available on the NFBL online store. All proceeds go to support the 2015 Louisiana NFB BELL Program. To make accessible bulletin boards, Laura said, you only need a hot glue gun and items that fit the theme. She suggested hosting a craft night with friends to help make all the pieces. Sheena Manuel, an Outreach Specialist at the Institute on Blindness, used the board last year with her braille-reading student who was having trouble increasing her reading speed. The student drew a braille card and moved the bug farther on the board if she knew the word, letter or contraction. When she answered correctly and got enough bugs in the butterfly net, she won a prize. 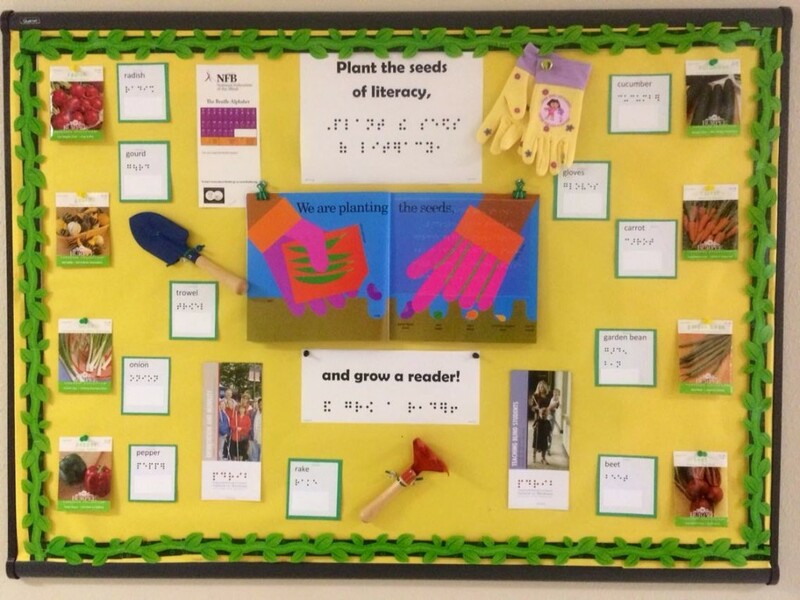 This springtime gardening bulletin board includes a trowel, rake, pair of gloves, seed packets, the “Growing Vegetable Soup” Twin Vision book and brochures for viewers to take. Click to purchase your Catch the Literacy Bug Bulletin Board Kit today from the NFB of Louisiana’s online store!